Loco-men of Brighton during the General Strike. railway workers from the various grades and departments reporting for work during the entire General Strike. 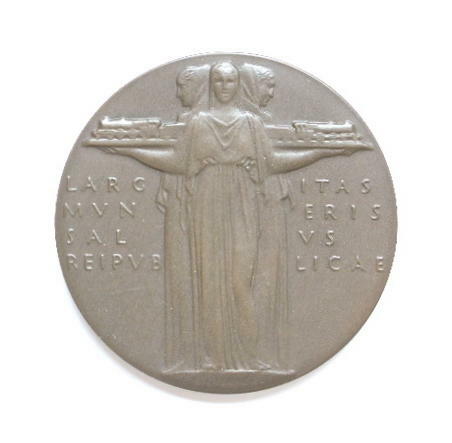 1926, where it is presumed, that members of the Brighton Branch of A.S.L.E.F. may have been involved in this demonstration. It is known that some of the demonstrators who were arrested and sentenced worked for the Southern Railway at Brighton. mining families. 'Not a minute on the day, not a penny off the pay', was the miners' slogan. Street printers refused to print a leading article criticising trade unions. Other print workers also downed tools. The T.U.C. activated its plans for sympathetic strike action and called out all trade union members in essential industries. was to bring the capital to a halt and force the government to intervene on the side of the miners. For its part, the government brought in the army to ensure that essential services continued and food supplies got through. buses, trams, trains and delivery vans were kept running by a skeleton staff of non-unionised workers and university students. tensions which led to the General Strike were exacerbated by the policies of the Brighton Corporation and the fears of members of the Middle Classes. 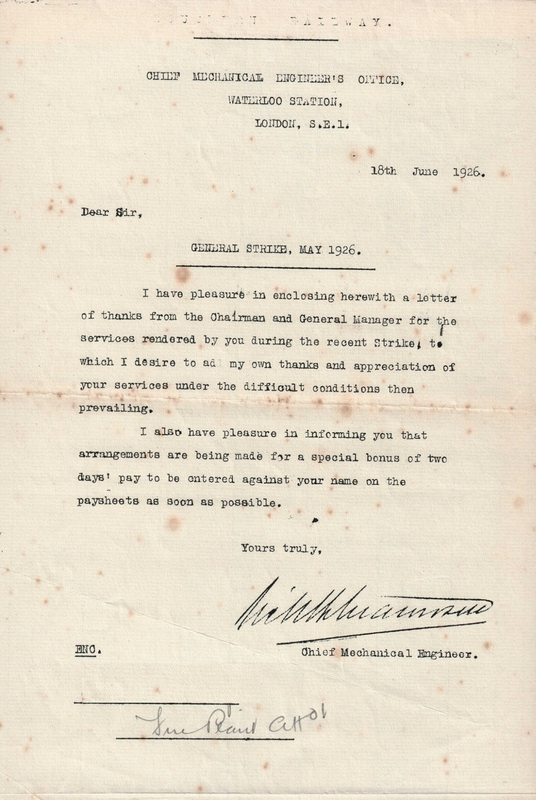 Their concerns, however, were misplaced: local socialists and unemployed people of Brighton were not revolutionaries but had a strong feeling of sympathy with the industrial unrest that existed around the country, and when the strike began to take full effect on the 4th May only 6,000 workers, a small proportion of the town's workforce, came out. Of these, transport workers were seen to represent the greatest threat, and succeeded in stopping service on the town's external railway links and internal tramways. This was largely due to the hundreds of railway workers employed in Brighton and the solidarity of Brighton workers with strikers elsewhere was virtually complete. Y.M.C.A. in the Old Steine, and at Preston Circus Police Station. which had arrived in Brighton that morning, remained untouched on the station. The distributors had refused to handle them. from Mr. C.T. Cramp (N.U.R. 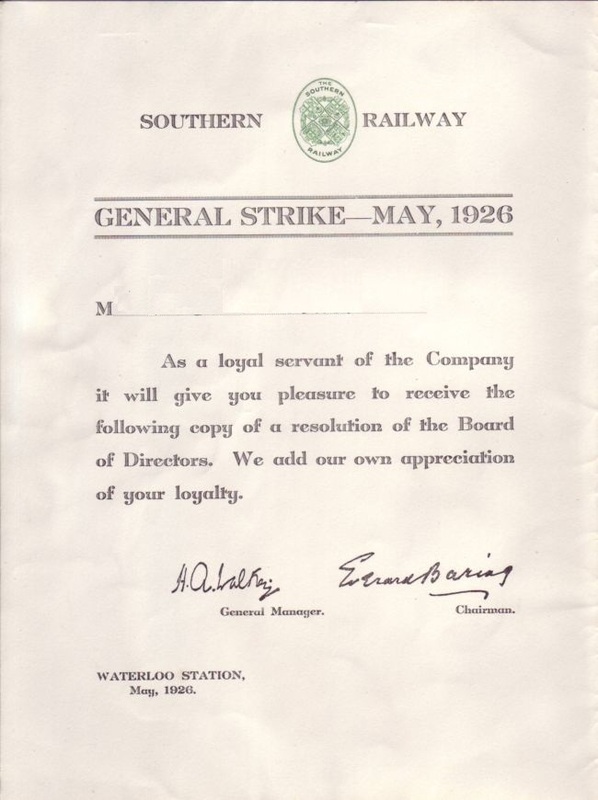 ), the railway leader, congratulating the workers of Brighton on their stand and urging them to work together. were brought into Brighton. Some were posted in prominent positions around the town, only to be torn down by angry strikers. The T.U.C. Brighton Communist Party, a duplicated paper that appeared to be on sale everywhere, but printed nowhere. line. So the engineers in the railway workshops came out on the first day. The engineers at Southdown Motors came out on the second day. fashion, leaving the minions of law and order on their right. them off the car. In the confusion, the woman continued to drive on at a great speed, turned swftly into North Street and disappeared. low standard, many copies being unreadable. universal seven-day week and a drop in wages of up to 25%. blacklegs into the depot for training. in front of the gates to disperse. This they refused to do. to fly through the air; and the police came to a standstill. mounted police constables wearing plus-fours! cause of the arrest. No warning by the police was given to the assembled crowd to clear out. other purpose than avoiding getting struck by the police. of the trouble, but we actively on the seen afterwards. 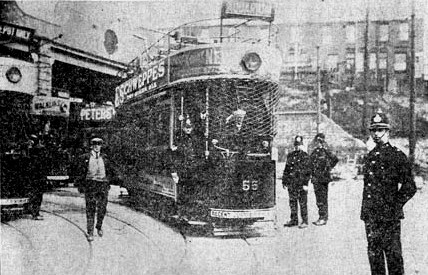 remaining hours of that 11th day, in the vercinity of the Brighton Corporation Tram Depot." get down low enough from his horse. I am 77 years of age and live in my present house for 50 years. various intervals throughout the strike. Ten minutes later, several hundred police and special constables followed in the same direction. being keenley interested, joined with the crowd and was fortunate in getting a view from a cart standing about 100 yards from the Depot. Lewes Road clear from the Bear Hotel to Preston Barracks. willing to take my oath on this. leave the Lewes Road Depot. when, with indecent haste, an emergency Magistrates Court. cars with more police brought up the rear of the procession. Sea Front in the direction of Portsmouth. something and I kept walking. I was about the third house up when he reached me. knocked down by the horse. I had a bruise on my back about 6 inches long. doctor owing to fright and delirous caused through the men on horseback. Regulation 1926, duty made pur to the Emergency Powers Act, 1920. 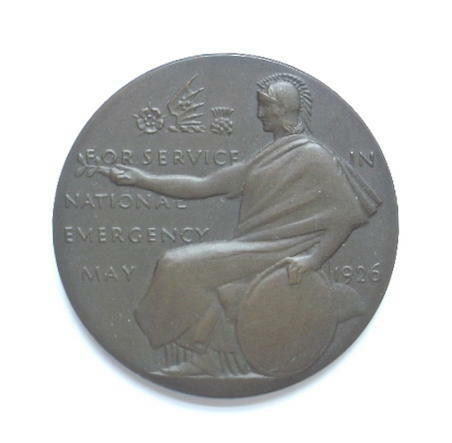 In that he did an an act calculated or likely to cause disaffection among the civilian population, to with incite certain persons to riot, on 11thMay, £5 fine paid..
3 Arthur James. Mitchell, 56, 42 Hendon Street Kemptown, Labourer, 2 months like offences. execution of his duty, on 11th May, and assaulting P.C. Robert Minton, while in the execution of his duty, on 11thMay, 6 months. 6 Percy Isaac Sawyer, 35, 66 Ewart Street, Southern Railway Hammerman, throwing a missile, 3 months. 7 Joseph Alfred Vinall, 21, labourer, inciting to riot, discharged mental. 9 William Joseph Knight, 32, 45 Arnold Street, Tram Conductor, inciting to riot, on 11th May; inciting to riot on 5th May; assaulting P.C. execution of his duty, on Maderia Drive, on the 5th May, 6 months. execution of his duty, on 11th May, 4 months. 11 Charles Marchant, 19, 12 Southover Street, Bottle Washer, inciting to roit, 40/-. on Maderia Drive, on the 5th May, 6 months. 13 Sidney Arthur Higgs, 25, Welder, inciting to riot, on 11th May. 14 William Jones, 41, 6 Tichbourne Street, Boot Operative, inciting to riot, on 11thMay; inciting to riot on 5th may; assaulting P.C. the execution of his duty in the Old Stiene, on 5th May, 6 months. 15 Horace Grosvenor, 39, 38 Ladysmith Road, Tramway Motorman, inciting to riot on 11th May, 2 months. 16 Algernon Sidney King, 39, 95 Ladysmith Road, Tramway Motorman, inciting to riot on 11th May, 2 months. 17 William Woolgar, 25, 51 Park Cresent Road, Southern Railway Engine Fitter, inciting to riot, in London Road, on 11th May, 1 month. 18 Percy Alfred Phillips, 25, 6 Islingworth, Labourer, inciting to riot on 11thMay, 1 month. 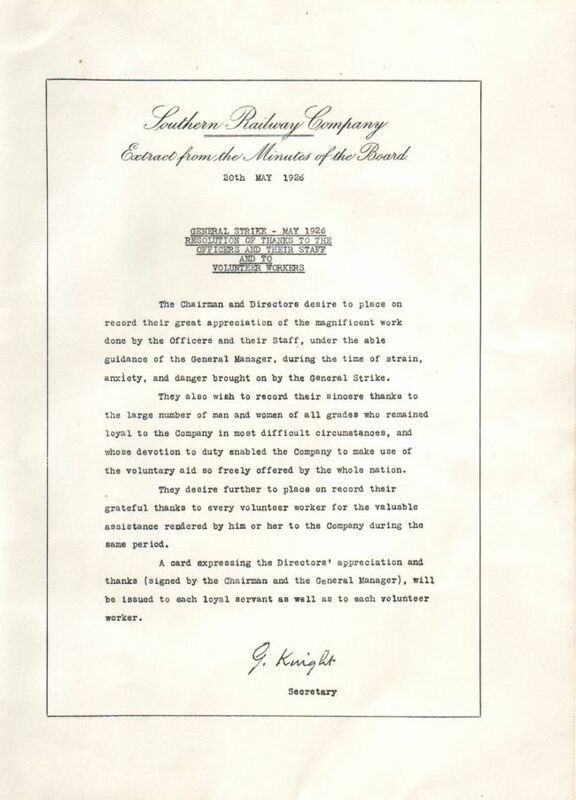 in the execution of his duty in London Road; assaulting P.C. Sydney Millen while in the execution of his duty in London Road, 2 months. Donald Pickett while in the execution of his duty, in Bartholomews on 11th May, Remanded 8 days. 22 Alfred Blakesley, 66 Hereford Street, Seaman 4 months, Note: moved. heroic stand had brought them defeat. The employers were not in pressing home their advantage. Strike and were black listed by other employers within the town. hand, O God, has guided” and “Now thank we all our God”. railwaymen as a 'SCAB' badge. from workers about the regular police, but much about the allegedly politically-motivated special constables. Strike were continually making themselves felt. not strike during the General Strike. 'contract in' to pay the political levy, forbade Civil Service unions to affiliate to the T.U.C., and made mass picketing illegal. bitterest confrontations of the whole General Strike and it took place in Brighton.